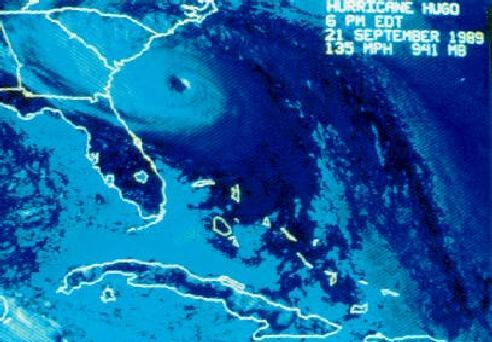 Infrared image: Hugo making landfall, September 22, 1989. (214K GIF) Courtesy of NESDIS. Note: All radar images on this page are courtesy of the Hurricane Research Division.